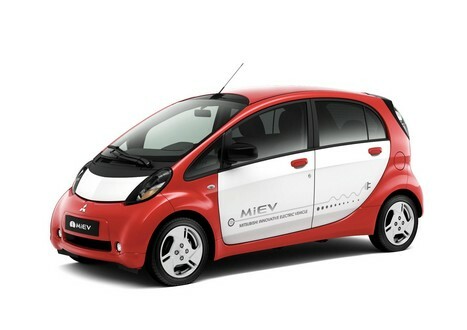 The Mitsubishi i-MiEV has long gone past the stage at which it is news but in the case of the European version there might still be a few things to say. Mainly because not much has been seen, said or heard about it so far. So here goes, what’s so different about it when compared to the Japanese version? We will find that out when it comes to the Paris Motor Show at the end of this month but even until then a press release tells most of the story. Erm, not much. On the outside, after a serious time staring at it you might notice that the bumpers have seen slight changes here and there in order to stack up to you EU regulations. A bit disappointing but perhaps lots have changed in the interior. Well for starters, there’s a re-arranged center stack in the instrument panel. And when I say for starters I pretty much mean that’s it. Sure Mitsubishi say there’s improved passenger comfort but fail to produce anything that may have helped that. When speaking about the underneath stuff, again, almost nothing has changed (well perhaps you might get a different adapter for your socket at home) but happily quite a few changes have come to terms with the safety front as this is always an issue with small frail cars. All of Euro-spec i-MiEVs feature a stability control system and side curtain airbags as standard equipment which is handy considering you will be paying somewhere in the region of 35000€ to get one.